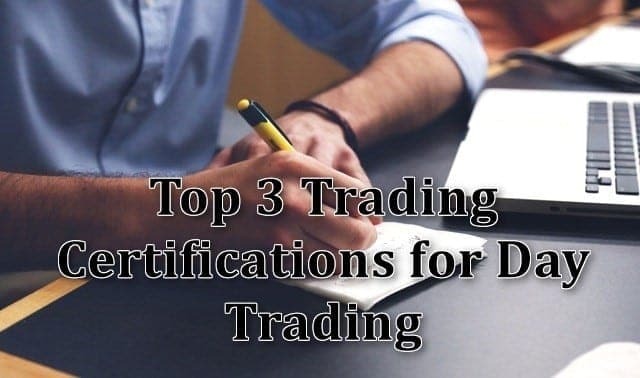 What are the Top 3 Trading Certifications for Day Trading? 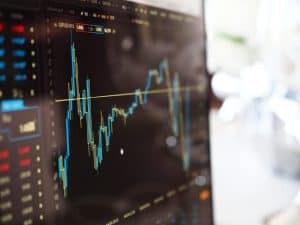 For those who wish to pursue a career in day trading (or even as an analyst), having a certification is essential when it comes to pursuing or building a formal career as a day trader. There are a number of self-professed day traders, some with very good track records to back their claims as well. However, in a professional environment, a professional certification, in trading can go a long way and for many reasons. 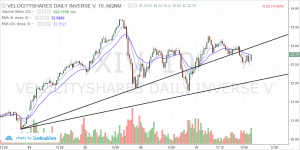 With the Internet, it is now easy for just about anyone who is tech savvy and has a basic knowledge about the financial markets to start running their blogs and promote themselves as a guru or an expert stock picker or a day trader. There have been many cases where some people used to commit such frauds, by charging expensive rates for courses, trading signals and so on. The truth of course was far from the claims. With the world of day trading so crowded and often filled with phonies, a certification can definitely help you stand out from the rest and adds a lot of credibility to your profile. However, an important distinction needs to be made here. Being certified does not mean that you will start making profits as a trader automatically. Just as it takes lots of practice for a student of medicine to be an expert in their field even after getting a degree, it is the same with day trading as well. A trading certification will and can help you progress only so far, and for the remainder of the journey it is a trader's motivation and passion for trading that will take them through. A day trader with years of experience can go much further ahead in the professional field and with statistics and numbers to back them up than a certified day trader with nothing to show for. Even the certification won’t help much in most cases. There are many reasons why one would want to pursue a professional certification course. For starters, you are thinking of pursuing a career in the field of investing or active trading, or you are just willing to learn more and want to formalize the knowledge that you have already gained. Whatever the reasons, there are a few things to bear in mind before we go into the top three trading certifications for day trading. Having a certificate will by no means guarantee you a job as a day trader. In order to be a successful day trader, hired at a hedge fund or at an institutional or a prop trading firm, you also need a track record to back up your degree or your experience (if you don't have a degree). Besides, the world of day trading is an industry that has many different career paths. From quants to analysts, to programmers to day traders, each of these career paths requiring its own set of qualifications. Therefore, enough attention should be given before taking up a certification course. Without practice, having a certificate will not help you much. While a certification course will teach you the basic principles of day trading, it is eventually up to the day trader to put this learning to practice and this is the only way one can progress. Last but not the least, day traders should also pay attention to the type of certification course they are taking up. Now-a-days as competition for retail traders gets hotter, forex brokerages have gone a step ahead in launching their own certification courses. There is no telling as to, who the person giving the course is, let alone their credentials. Most of such scams are well designed and often made for the purpose of luring you into depositing funds with the brokerage firm and trade with them. Also known as CTA for short, the commodity trading advisor is the term given to a qualified professional or a firm that can offer trading and other services for clients in the futures markets, including options. A Commodity trading advisor usually works with a managed futures fund or a firm including an Exchange Traded Fund (ETF) or a mutual fund as a money manager. You can also be a CTA privately as an individual instead of a firm. CTA's are regulated by the U.S. Commodity Futures Trading Commission (CFTC) and requires membership to the National Futures Association. As the name suggests, a CTA primarily deals with the futures and options markets and mostly with commodities, although this has been expanding to other markets in recent years. Commodity trading advisors trade based on either the technical, fundamental or quantitative based approaches. To be a qualified commodity trading advisor, you need to have money to pay for the various registration fees. Furthermore, you also need to pass the Series 3 exam administered by FINRA, which is a requirement for the NFA membership and must be done within two years before applying for the NFA membership. The cost of the exam is $125 and a 70% score is required. The NFA series 3 exam is a mix of U.S. rules and regulations on the financial markets as well as market overview. It goes a lot into the study of the futures markets such as knowing terms related to the industry. For example, what is a Delta, hedging theory, margins, price settlements and so on. A good portion of the series 3 exam also focuses on the technical aspects of trading such as gaps, triangles and other chart patterns as well fundamentals including the U.S. agricultural policies, hog/corn ratio and so on. By the end of the Series 3 preparation, the candidate is more or less likely to have a good understanding about the futures markets, technical concepts of trading and price action, as well as understanding the legalities of trading. The CTA certification is very serious and is useful if you simply want to formalize the education or training you already received or if you want to consider pursuing a career as a commodity trading advisor or a money manager. As the name suggests, this course or certification program is more to do with technical analysis and the trading concepts, something which day traders will find it to be more interesting and closer to the topic. The Certified Financial Technician (CFTe) course is accredited by the International Federation of Technical Analysts (IFA). The IFTA is a not-for-profit organization and has branches in over 24 countries. You can take the CFTe certification in many languages besides English (Spanish, French, and Italian). There are two levels in the CFTe, known as level I and Level II. Obviously, aspiring day traders need to start with level I before they can take the level II example. A quick look at the syllabus for the Level I exam for CFTe and you will understand that the concepts are very technical. Therefore, be prepared to learn (or be tested) on concepts ranging from the early days of Dow, Wyckoff to market efficiency and random walk theories. You will also be tested on trends which goes deeper such as percentage retracements, regression lines and so on. Traders are also tested on other chart concepts such as Point and Figure in level I, while in level II, candidates will be tested on kagi, renko charts types. The CFTe also focuses a lot on Elliott wave theory and Gann theory, two concepts that are a bit complex than the rest and some easier topics such as moving averages and a couple of technical indicators. The CFTe certification course is a self-learning program where you only pay for the fees to take the test. Most of the syllabus requirements and reading materials are available for free which traders can use to prepare accordingly. The cost for the exam is $850 for level I and $1,150 for level II with some additional fees that is applicable. The CMT's certification program is broken down into the level I, which deals with the very basics of technical analysis and then advances to applying these concepts, which are put to the test in level II. The Level II is all about the candidate's ability to incorporate the concepts from levels I and II. Of course, there is also a good part of the program that deals with ethics and morals in trading. All three levels of the course must be cleared within 5 years from taking the Level I exam. The CMT has a wide following especially in the U.S. and has branches all over the world. To take the CMT exam, the candidate must also have three years of relevant work experience as well. The CMT and the CFTe courses are always viewed as being one and the same and there are special concessions for candidates who cleared one of the two programs. It is not just day traders who opt for the above certifications but also investment bankers among other professions, who mostly deal with the fundamentals of investing rather than the technical aspects of trading. While accounting is the go-to course for fundamental analysis, for technical analysts, the above three courses are a great place to start. Of course the depth of information required is typically higher than one would expect and there is no escaping as you are required to know just about all the concepts in trading regardless of whether you apply it to your trading or your preference about the concept. The STA's diploma courses are accredited by the Chartered Institute for Securities & Investment (CISI) which is an organization formed by the London Stock Exchange participants and boasts of over 40,000 members in 121 countries. The STA’s diploma course is also said to make the candidate eligible to enroll for the Chartered Wealth Manager Qualification (CWM). The topic about certification, especially for a skill or for a particular job can often evoke mixed responses. On one hand are people who believe that it is essential to have a certificate or a piece of paper than authorizes them as a subject matter expert. 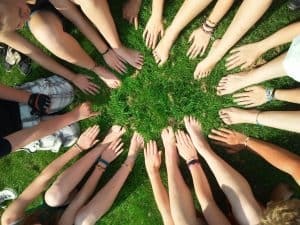 Some people are firmly of the opinion that having a degree or some kind of certification helps when it comes to advancing one's career and professional growth prospects. On the other hand are people who oppose certifications, claiming that some skills and aspects of a job cannot be taught. 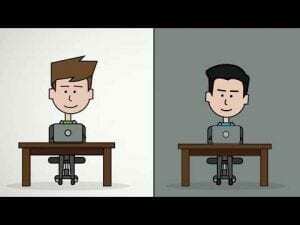 The topic about certification in trading also evokes similar responses. And to make things more complicated, there are an equal number of certified professionals as well as uncertified professionals who have made it big in the trading or investing world. This is no doubt going to be a debate that will never die out as each side of the argument has its own strengths and weaknesses. The fact that both certified and uncertified professionals have made it bit in the world of investing has only one clear meaning that in order to succeed, (in investing or trading) a certification is not entirely necessarily. While, certifications can help a student to understand the principles behind the concept of day trading or investing, it is eventually up to the student to put what they learned to work. As they say, practice makes a man perfect!